The actor revealed the specific bond he and his wife of 22 years share. Some people insist that when you meet “the one,” you just know. Actor Hugh Jackman is one of those people. The “Greatest Showman" star told TODAY that he knew soon after meeting actress and producer Deborra-lee Furness that they'd get married one day. "I knew two weeks in to meeting Deb that we were going to be together for the rest of our lives," Jackman told Sunday TODAY's Willie Geist. Jackman and Furness met while on the set of Australian drama Corelli in 1995. Just four months later, he proposed. "In the end, what do you want from your life partner? You want to be fully seen and you want to be able to fully see them for exactly who (they) really are. 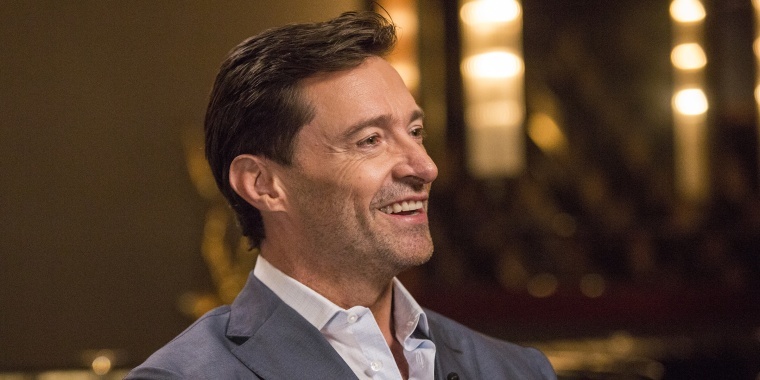 And Deb and I had that from the beginning," said Jackman, also known as Wolverine to Marvel fans. The couple has been married for 22 years and have two children, who were adopted, together. “She was the star. I had this major crush on her," Jackman told Ellen DeGeneres back in 2016. "Everyone did. The whole crew had a crush on her.” Jackman later admitted his feelings for Furness and the couple got married about a year later. The couple's two children, Oscar, 18, and Ava, 12, and have also become advocates for adoption through Furness’s nonprofit, Hopeland. So, what are the secrets to the couple’s 22-year union?